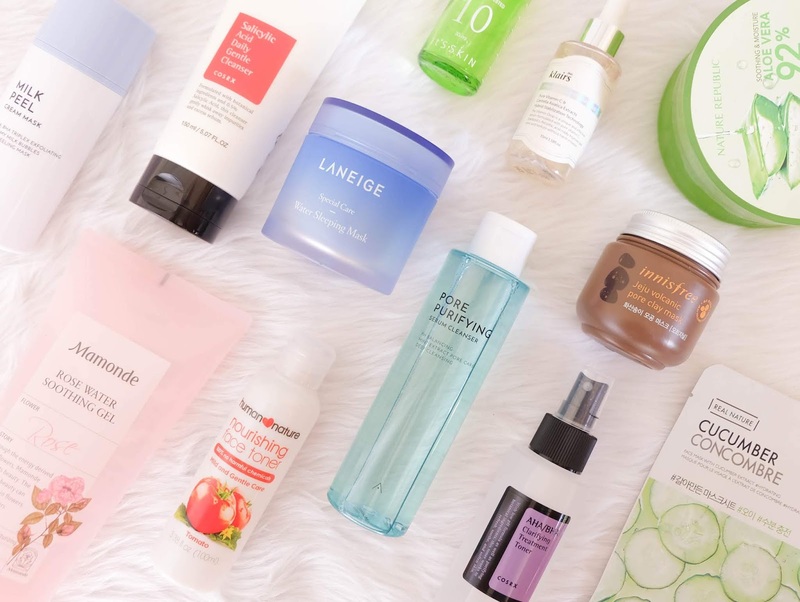 The search for the best skincare products that work for my skin has finally come to an end. Well, sort of. 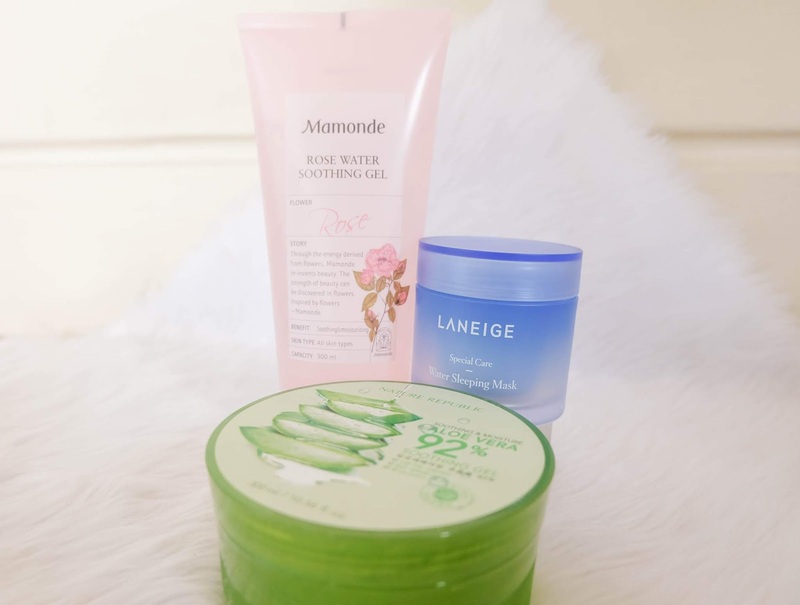 I'm still keeping my options open in case there's a change in my skin condition, but so far, I was able to trim down my favorite skincare staples that lessened my breakouts and *possibly* minimized my oily skin problems. 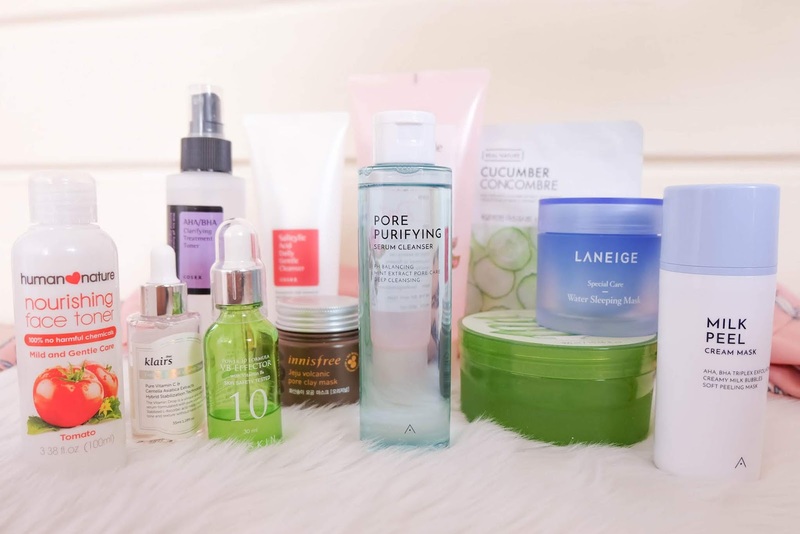 My current nighttime skincare routine is generally dominated my Korean products, although please let me know if you have other recommendations especially from local brands. I swear, I used to have super oily face, and would often have breakouts (huge ones in the nose area!!!) during that time of the month! I still do have acne scars, but it has visibly improved since then. DISCLAIMER: I DO NOT USE ALL THE PRODUCTS AT ONCE. On most days, my routine is usually minimized to the usual 3-step skincare: cleanse, tone & moisturize since some of the products are not supposed to be used on a daily basis. I only use this complete version during weekends (when I gots the toime and the patience). So, without any further ado, here's the step-by-step process of my nighttime skincare routine featuring all the products I use. 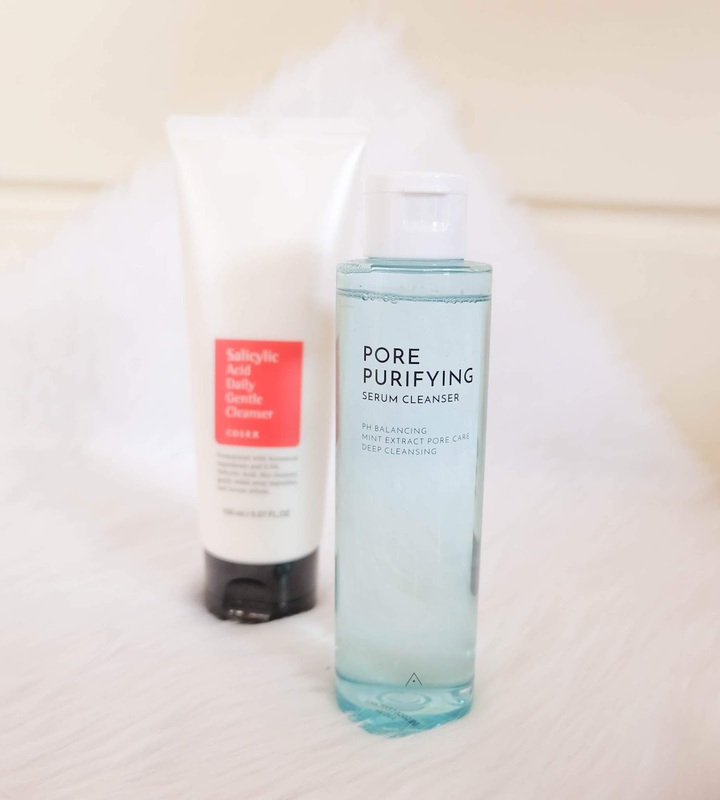 I used to neglect double-cleansing but according to allure, it's important to extensively remove and melt away all those make up first before following it up with your actual cleanser for the following products to penetrate your skin better. This one from Althea has a serum-like consistency (comparable to oil), which deeply cleanses and washes away dirt and other impurities from your face with its key ingredients: mint leaf extract, jojoba seed oil and tea tree leaf extract. I put on a generous amount and massage it lightly on my face for a minute, then rinse with water or dab it off with tissue. It has a light cooling sensation (probably because of the mint), and effectively melts away all my make up. My holy grail facial wash! I've tried dozens of cleansers, but nothing compares to this game-changer. My previous 4 to 5 acne breakouts are now down to 0 or 1, which is usually small enough to manage). It gently exfoliates your skin with Salicylic Acid (BHA), a component that works best for oily and acne-prone skin and for treating whiteheads and blackheads. Whenever I need some extra exfoliation after a week's exposure to dust and pollution, this cream mask is the way to go! This gentle yet powerful product is an effective way to flush all the gunks out while leaving your skin soft and supple. Have I emphasized enough how oily my skin is? Well, if you're basing it on the products I mentioned/about to mention, you get the idea. 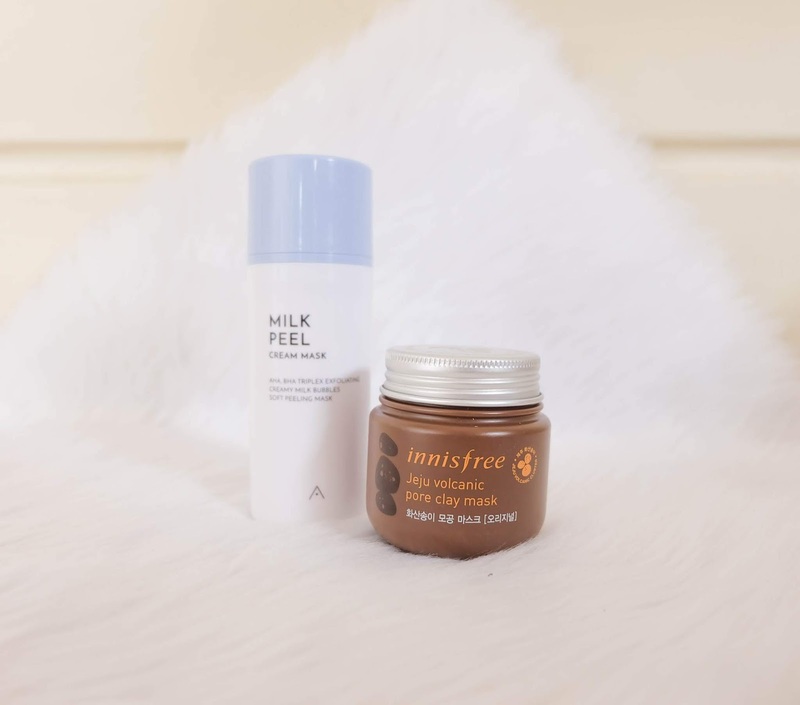 This Pore Clay Mask from Innisfree was able to minimize one of my biggest problems. I leave it on for about 20 minutes before rinsing off with warm water. 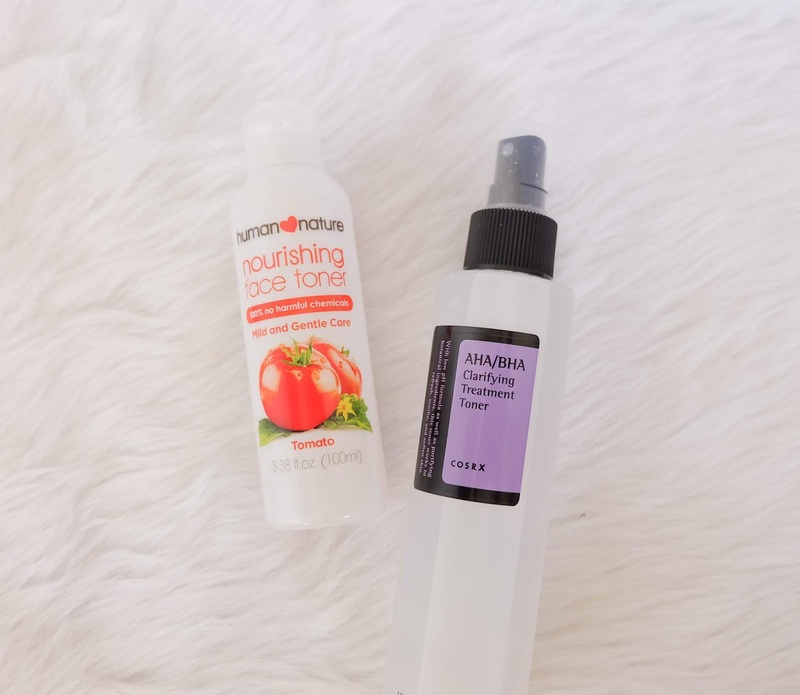 My gentle go-to toner and the only non-Kbeauty product which made it to the list! I think I've mentioned before how much I love this Nourishing Face Toner from the local brand, Human Nature. It's really mild on the face, doesn't sting even one bit and really nourishes my face especially after following a deep exfoliation. Not a fan of the packaging because I think it wastes a lot of the product when poured, so what I do is transfer this in a spray bottle. You can either apply it using a cotton pad or directly pat it onto your face using your hands for better penetration and absorption. After cleansing and/or clay-masking, I spray this once or twice on my palm and gently pat it across my face. This item is particularly created to restore oil-moisture balance of the skin. After application, my skin would feel fresh, plump, and oil-free for a couple of hours. It doesn't give any drastic long-term effects (or maybe my oiliness is just too tough to battle), but still using it til I finish the whole bottle. Acne marks be gone with this holy grail serum! 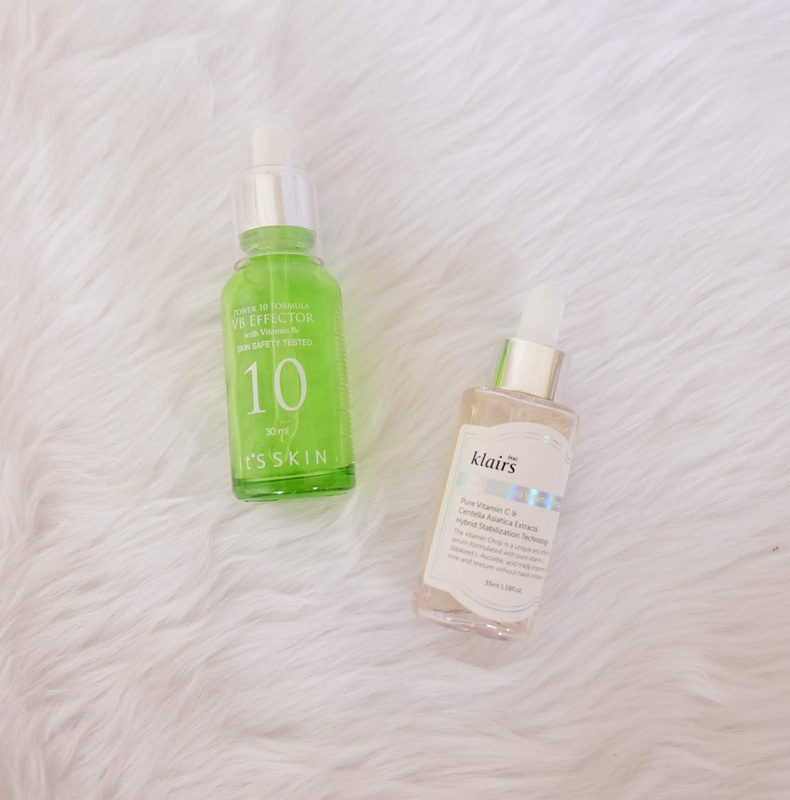 I already blogged about my review on the Dear, Klairs Vit C serum a few months ago and it still is included in my routine to date. Stocks of my favorite Holika Holika Mask Sheets ran out so I only took what was available. I'm really not to keen about face masks, because they're all essences in general, and caters to different skin types. I guess I just have my favorites based on the size of the mask that comes with it and the consistency and absorption of the serum. Masking helps to lock in moisture and penetration of the products initially applied. Another HG product I swear by! This Water Sleeping Mask from Laneige is definitely heaven-sent for us with oily skin. It's lightweight, soothing, refreshing and moisturizing that restores the health of your skin overnight! Oh, and did I mention that its scent also has this calming effect which can help you sleep better? Price is a bit steep (70mL for Php980), but I've got nothing but good stuff to say about its performance. Totally worth it! The newbie in the moisturizer category. Seems like Rose Water is the new trend after Aloe Vera so I decided to give it a try. 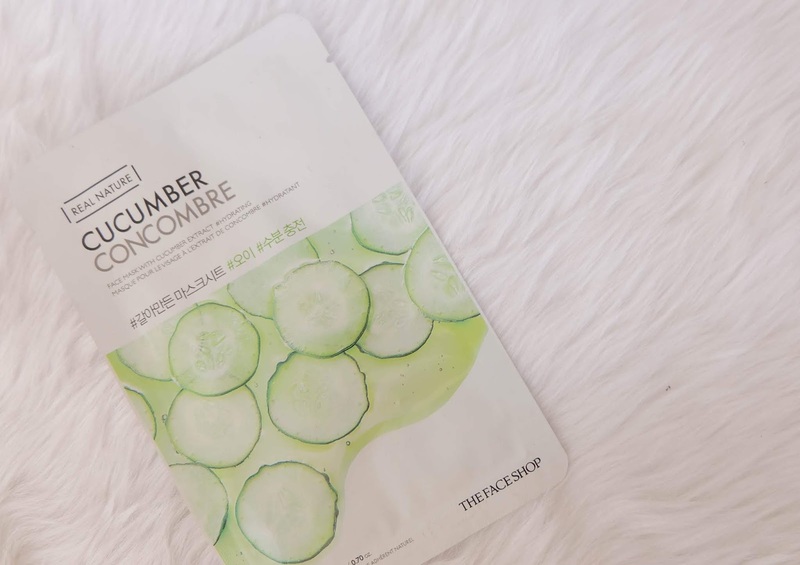 The claims are almost similar to Aloe Soothing Gel (soothing, moisturizing and can be used on skin & hair), and can be an alternative to lotions. *IMPORTANT: The Salicylic Acid Daily Gentle Cleanser, Milk Peel Cream Mask and AHA/BHA Clarifying Treatment Toner all contain acids. Although they're gentle enough individually, it might cause a different effect when used altogether. According to theklog, "layering more than one acid product at the same time is not recommended because they can cause too much skin irritation, but you can combine an acid cleanser and an acid leave-on product if you do not have sensitive skin." In my case, I only use the cleanser on a daily basis, while the other products are used only once or twice a week, but not on same days either. Use only one product for a week to see if you'd react before incorporating them on your routine. It's also important to note that these shouldn't be used with Vitamin C serums because it may cause potential irritation and inactivate the Vitamin C itself.